Verizon will begin to offer a CDMA compatible iPad that connects directly to their wireless network, according to Bloomberg. Verizon already sells the iPad, but it’s only offered in the WiFi version which is then bundled with a separate wireless access point. 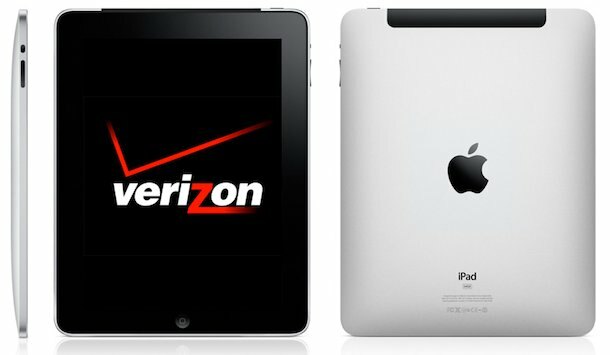 The word of a direct CDMA iPad is somewhat buried in the news that the Verizon iPhone will be available on February 10. While we were given a release date for the iPhone, there is currently no word on when the CDMA iPad will be available. Likewise, there is no word on data plan pricing for either devices. OMG NOBODY CARES Manish you are boring. Go back to writing guides on jailbreaking and reporting on redsnow releases. it’s just news buddy, it’s not worth it. take a day off, spend some time with the family. Judging by the media attention given to the release of a CDMA iPhone and possibly an iPad, I think you are wrong. I will continue to write jailbreak guides and updates as well, thank you for your advice. Something else to add to the iPad 2 rumor mill: a wireless chip that can switch between CDMA and GSM.